When you’re in need of a credit card, the last thing you want to hear is that your application has been denied. More than often you don’t understand why since credit card issuers don’t share this information upon declining your request. 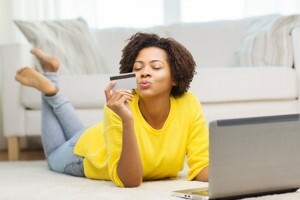 Read on to find a few possible Reasons why your credit card was declined. Having too many existing credit cards can have an influence on your new application. The amount of “too many” will vary from each credit card issuer so if your first attempt fails, don’t give up! Chances of getting a credit card application approval while you struggle to pay off existing loans are very slim. The issuing company will see you ask a risk. They will take into consideration that you will have difficulties paying off your credit card debt as well. To improve your chances, you will have to reduce your existing loan balances first. The same principle as above applies to your credit balances. Companies want to see that you never or rarely max out your credit cards. To improve your chances of getting another credit card approval, you should consider keeping your credit balances below 30%. Little or no experience in your credit history could lead to a denied application. You need to have at least one active account for a minimum period of six months to improve your chances. Without an existing credit score, the issuing company cannot approve your application sent in. An unstable income due to a poor working history can affect your application approval. Credit card companies look for an applicant who keeps their jobs for consistent periods of time and have a fixed monthly income. Avoid job-hopping and periods of unemployment if you want to improve your chances of approval. Besides an unstable income, a low income can also lead to a denial of your application. The minimum income requirement varies from each credit card issuer, so a denial by one company doesn’t mean that you won’t get a credit card somewhere else. Ultimately it will be up to you to decide which credit card will fit your income before applying. Another reason for your application being denied can be due to too many inquiries on your credit report. Issuers reject applications if you apply for too many credit cards and loan within a short period – whether the others get approval or not. Denial of your credit card application is sometimes for a simple reason such as not filling in the application form correctly. Go through your application form before handing it in to ensure that all details are there. Alternatively, you can apply online.